Losing teeth can be a real nuisance. You have to cope with unsightly gaps in your smile, and chewing your food can become an awkward experience. When you choose to have dental implants in Cheltenham, you’ll regain the strength and stability provided by your natural teeth. This powerful tooth loss solution integrates with your jawbone using a small metal post, so the replacement tooth is securely anchored. Therefore, you can bite into your favourite foods without worrying that the new tooth will fall out. The stability and strength of dental implants is a major reason why people prefer them to temporary, removable solutions such as dentures and bridges. Dental implants in Cheltenham are also a user-friendly experience. They don’t need any clips or adhesives. They simply remain in your mouth alongside your natural teeth. If you look after them, dental implants in Cheltenham will last for many years. 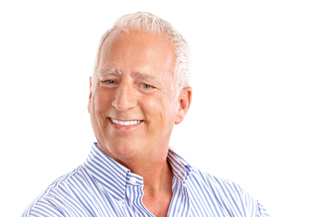 Dental implants in Cheltenham are customised to suit your specifications. We’ll take detailed, computerised images of your mouth so that your replacement teeth will look great and function efficiently. It’s important that your jawbone is sufficiently dense, too, so we might need to do some preliminary work to get you ready to receive your new teeth. Our dentist will then place small, screw-like metal posts into your jawbone. After a rest period, you’ll return to our practice and have your replacement teeth attached to the metal posts. Aesthetic improvements and ease of use aren’t the only things provided by your dental implants in Cheltenham. They do good work behind the scenes, as well. By ensuring that your underlying facial bone structure stays robust, the implants prevent the development of a sunken appearance. Also, their stability means that dental implants in Cheltenham can aid pronunciation of certain words and phrases. This tooth replacement solution can transform your quality of life. We can use implant dentistry to replace however many teeth you may have lost. If you’re missing a single front tooth after a sporting mishap, or a whole set of teeth that have suffered years of decay, we can give you a long-term solution. This entry was posted in Dental Implants on 8th April, 2019 by Cheltenham Dental Spa & Implant Clinic.